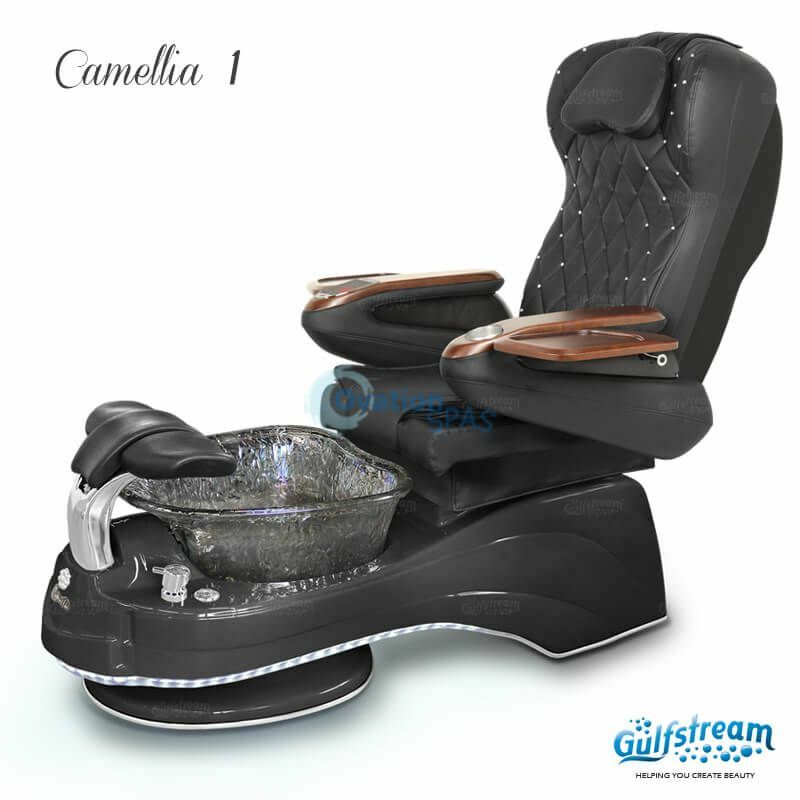 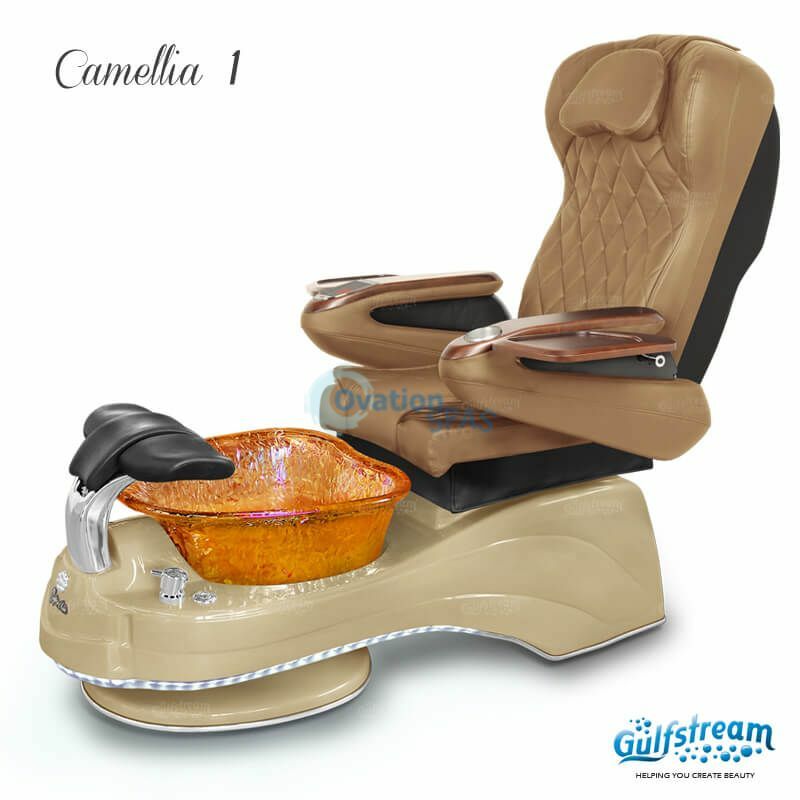 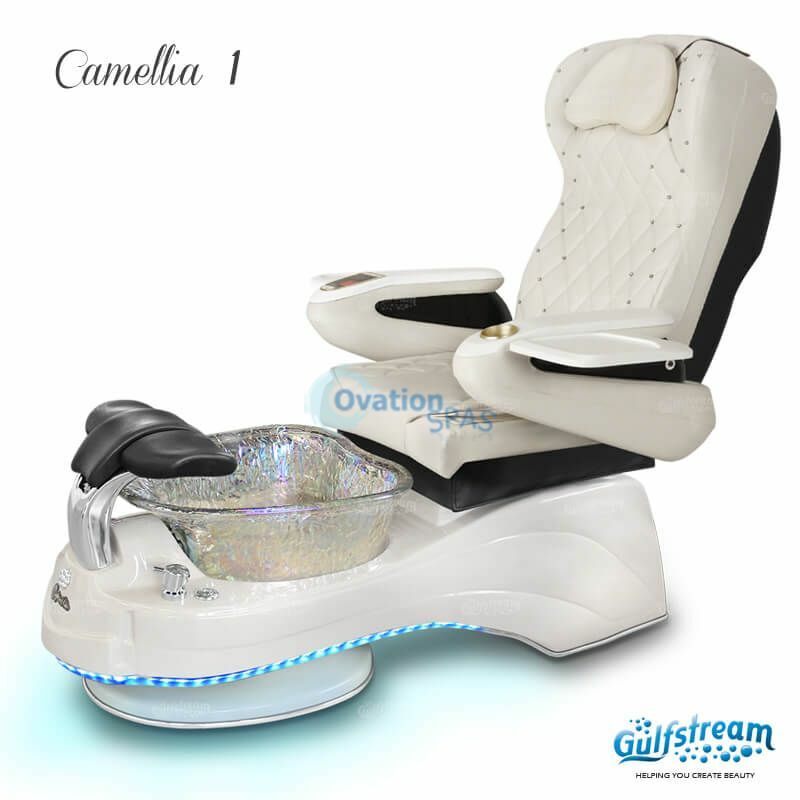 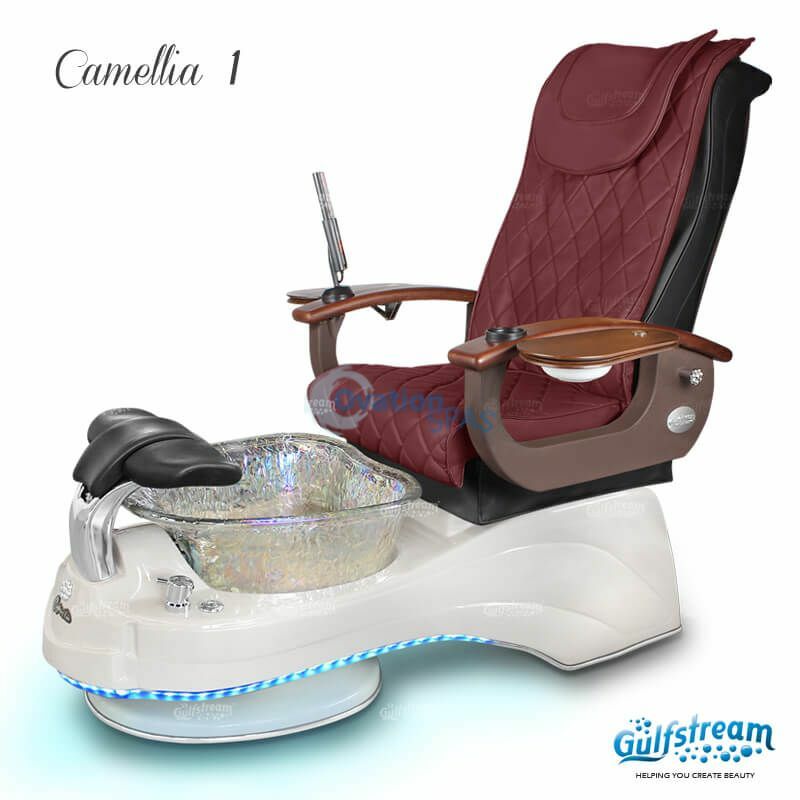 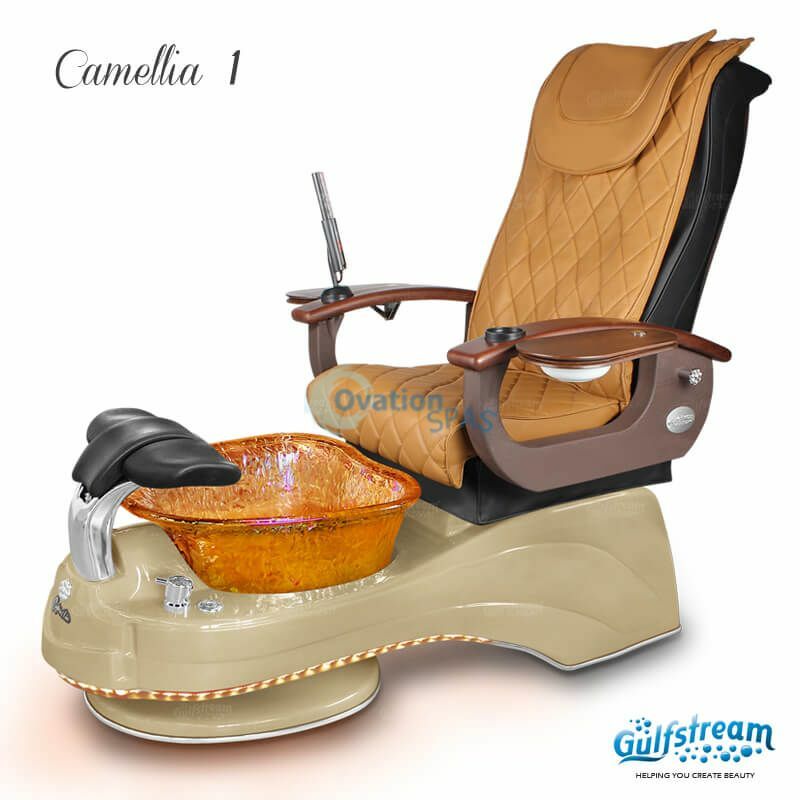 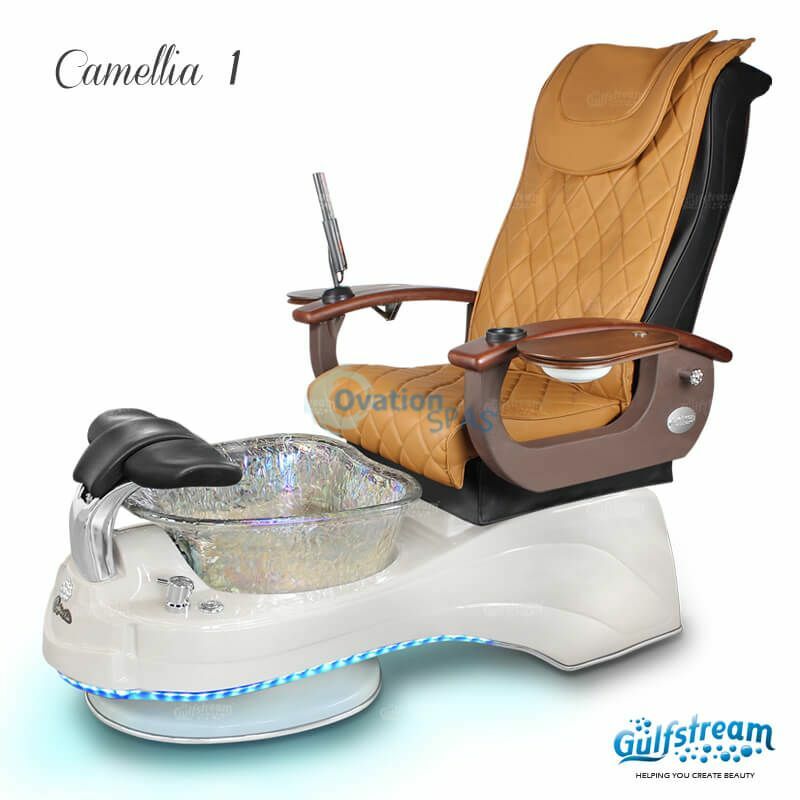 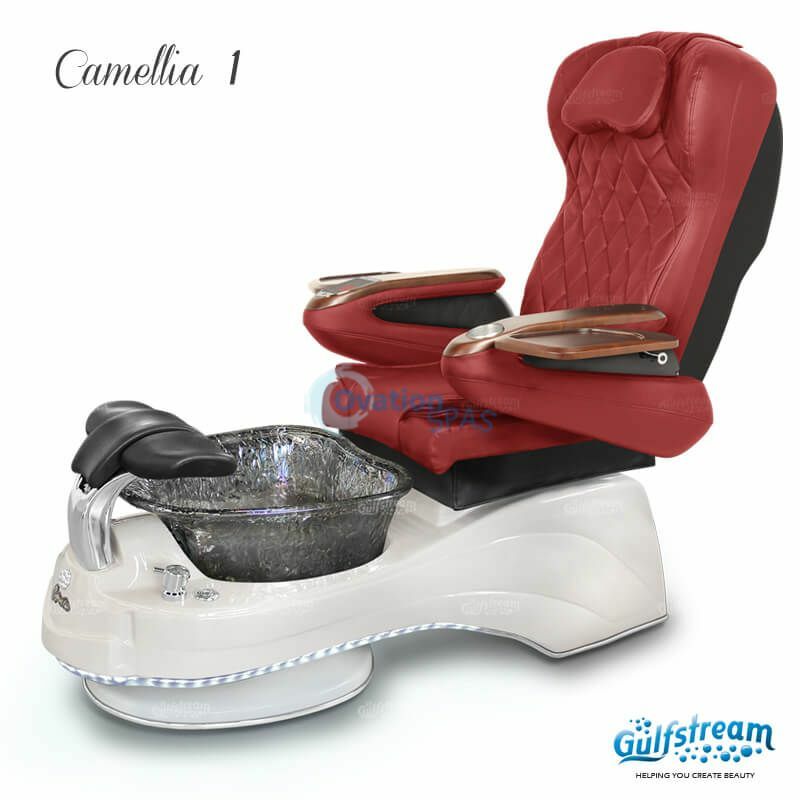 Free Shipping - The new LED camellia pedicure chair offers a luxury design that is as comfortable as it looks. 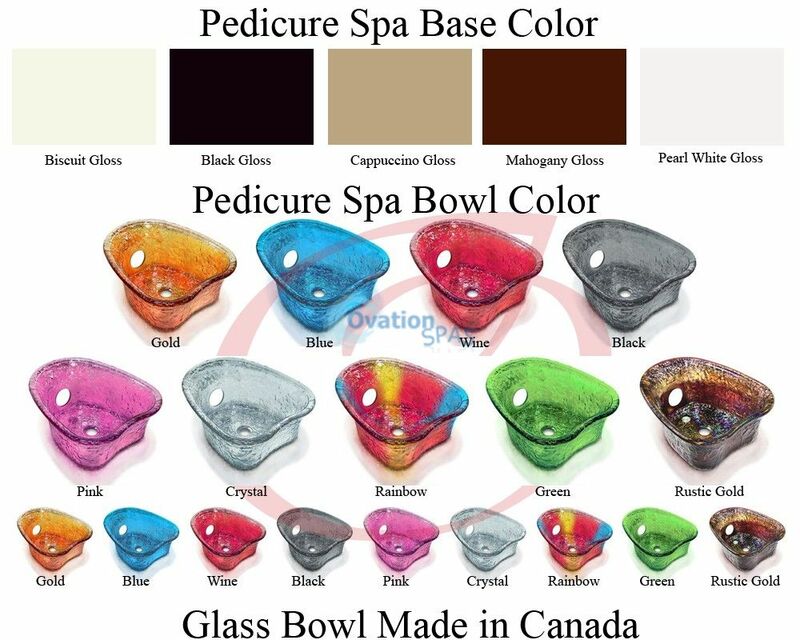 The newly designed large glass pedicure bowl gives additional foot space for ultimate comfort. 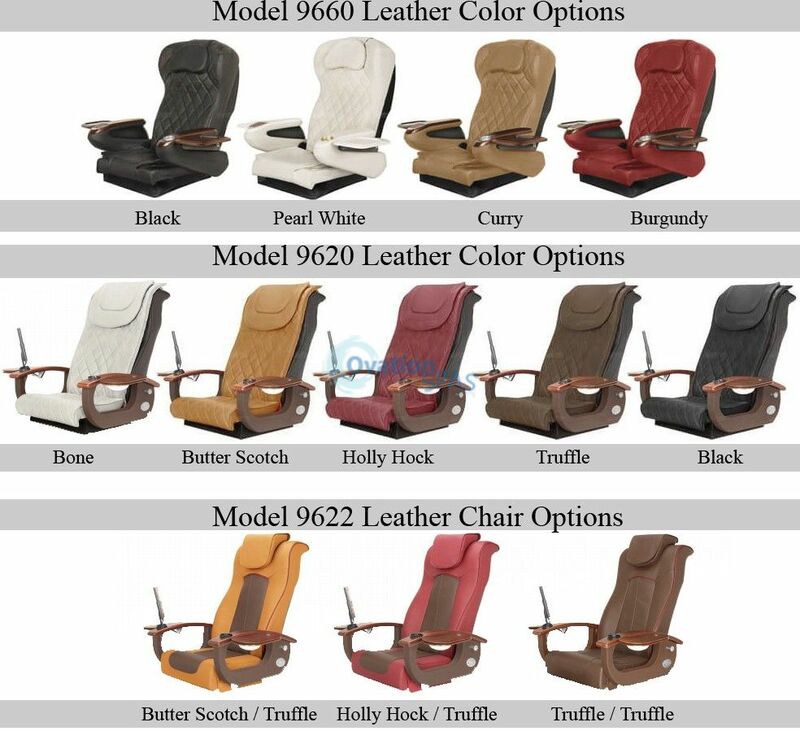 Certification – UL approved. 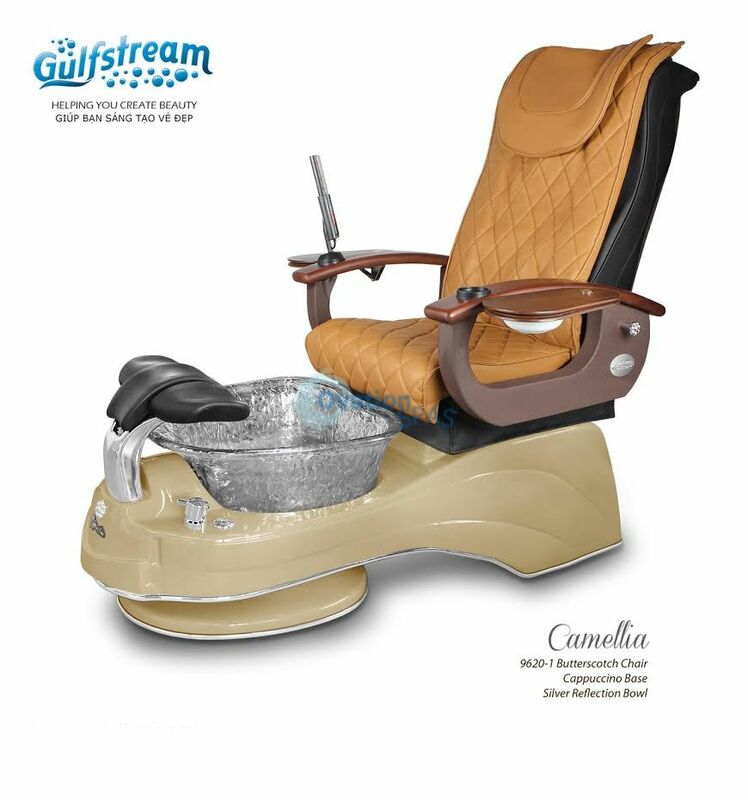 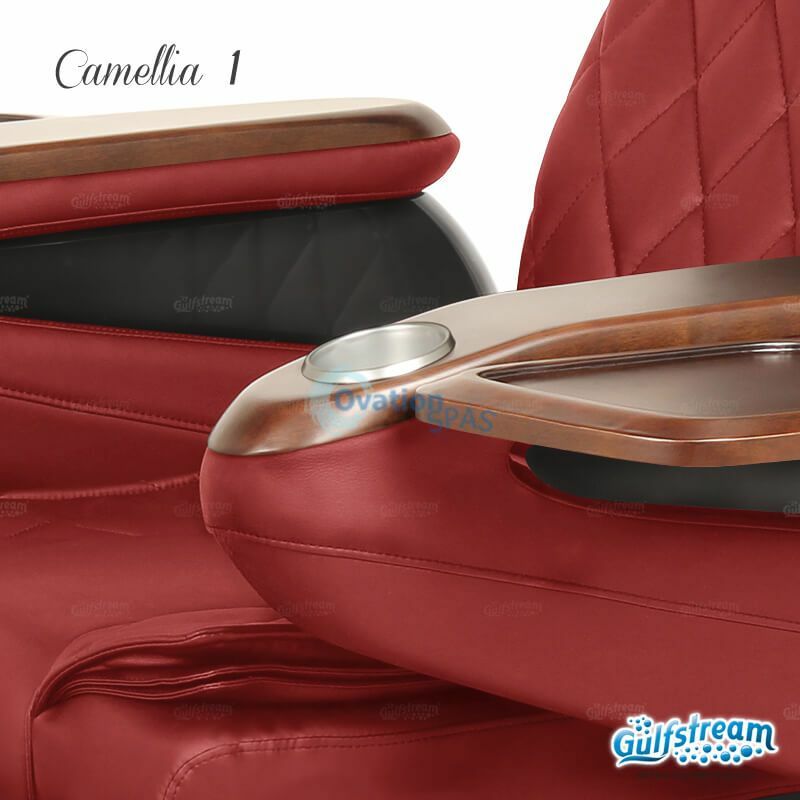 Gulfstream's Camellia holds the following certifications: UL (file #E218645); Boston MA Approval (P3-0610-529); LA Approval (M-090072); IAPMO certification, which is certified to CSA standards; and the shower head is UPC approved.